ARE YOU A LIBERTY STUDENT? CVFP will be the official care provider for the Liberty Student Health Center beginning August 2016. Check out our newly-designed website for more information. No need to wait for an appointment. You can visit CVFP Immediate Care seven days a week without an appointment. We want you to be at home with us. Learn more about your Medical Home and ways you can partner with us in your good health. CVFP cares for your entire family – babies and children through adults. We want to care for you and your family for life! With more and more locations. CVFP Medical Group’s Immediate Cares now feature a convenient appointment scheduling process and virtual waiting room experience at their immediate care centers located at Airport Plaza and Lakeside Drive. The centers are using ClockwiseMD, a solution that allows patients to reserve a spot in line and receive real-time information about wait times. Online Sign-In: Patients can choose an appointment time and track their place in line. 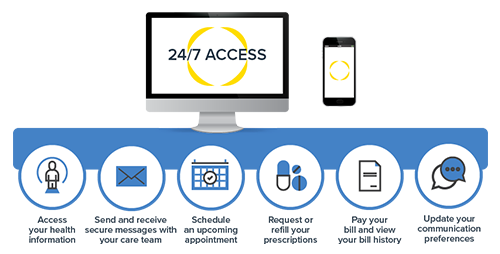 Proactive Communication: Automated communications with patients via text, email, or voice allow patients to stay notified before their visit. Enhanced & Informed Waiting Experience: Walk-in and self-scheduled patients can easily view current wait times and queue order. CVFP Medical Group is a proud member of Privia Medical Group. The best doctors in our community have joined together to form Privia Medical Group (PMG), a multi-specialty, high-performance medical group that puts patients first. Our physicians are united by the mission of providing better, more coordinated care for their patients. "We have the best family doctor...Dr. David Haga and the CVFP family (Monelison) is the greatest. Micah had an issue yesterday and he did not hesitate to check and make sure Micah was ok. Even thou he was on his way out and finishing up his day. He looks out for our entire family! I personally know what its like to work in a doctors office and a patient walks in and needs help some kind of help at the very last minute. His entire staff made a sacrifice for me and my family. So thank you CVFP and Dr. Haga!"